Sipper bottles are the perfect size for small hands. 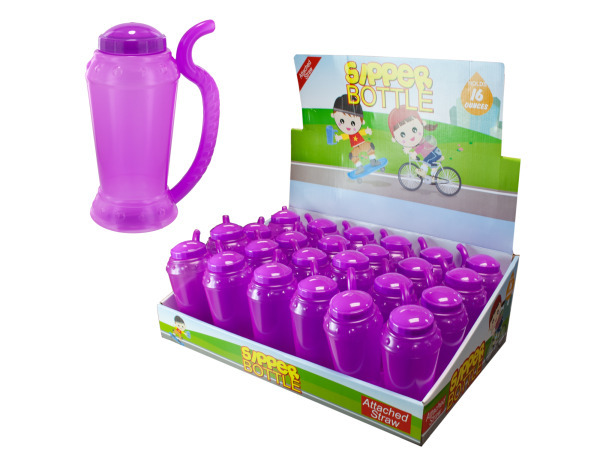 Bottles are made of purple plastic, have a built-in straw and can hold 16 ounces of liquid. There are 24 bottles per counter top display.